Bug Chaser EX is a succeeding model of Bug Chaser Plus. It is equipped with two functions. They are "Detect Mode" and "Scan Mode". Pleae take a look at following information. 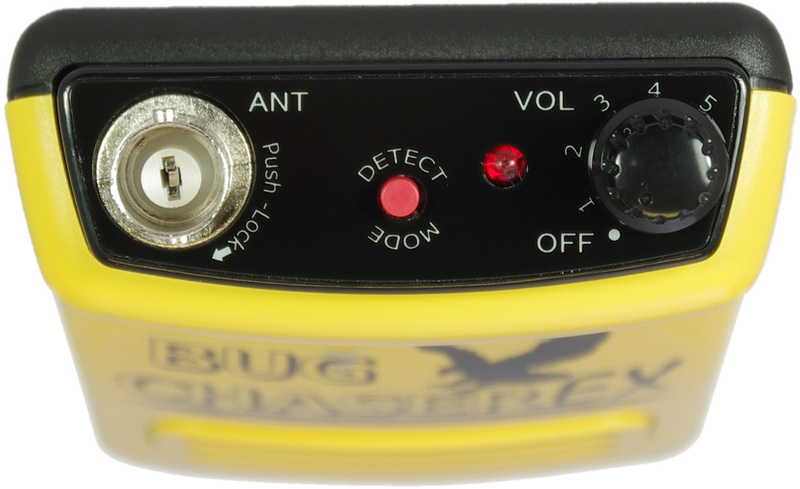 When Bug Chaser EX receives radio signal, it warns you by LED and sound alarm. Closer you are to a hidden bug, the more number of LED turn on. 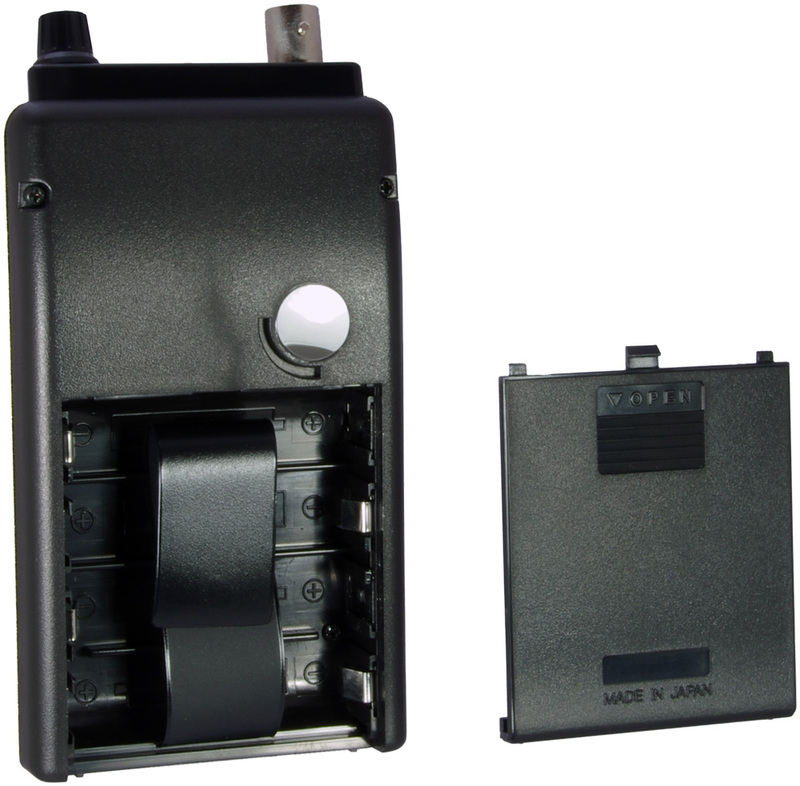 Closer you are to a hidden bug, noisier and louder the sound alarm become. You can narrow the distance between you and a hidden bug buy using this function. Bug Chaser EX receives many kind of radio waves like public broadcasing, taxi, railway, and so on. You have to discriminate wiretapping radio signal from these harmless public radios. When Bug Chaser EX receives radio wave it gives off discriminating tone. When bug picks up the tone, it will send the tone information back to Bug Chaser EX by air. When Bug Chaser EX receives the signal with the tone, it automatically turns to radio mode and you can hear the same sounds and voides the hidden bug are picking up. Number of switch and button are minimum. There's no complicated operation like the wideband recievers. Anyone can handle it without effort. You will not be frustrated by many buttons or very few buttons but with so many functions with them. Caution: Bug Chaser EX is not water proof. Caution: Bug Chaser EX has a little heat when it is working.Please keep it away from your body to avoid burn. Alarm mode locates the dirrection of the radio wave emitted. Using this mode you can narrow down the distance to a hidden bug. Scan mode helps you to judge if the radio wave Bug Pinger receiving is really coming from bug or other device.